The rough idea at this point is to do something similar in tone to Aliens or Space Hulk, right? A space station has been overrun by the Plague and the Enforcers have to clean up the mess. The slimy, disgusting, “I’m not cleaning that up” mess. 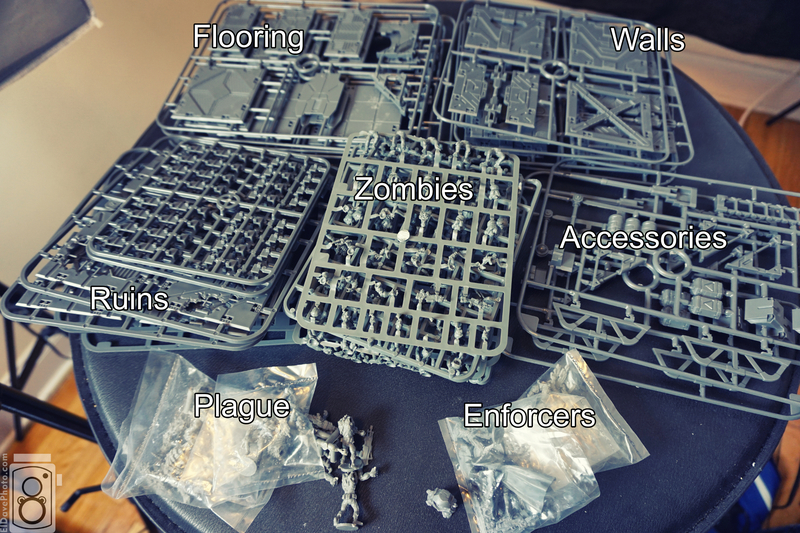 Also, after watching The Terrain Tutor’s excellent videos on using the Battlezone terrain, his mantra of breaking up the blockiness really stuck with me, so one trip to Hirst Arts later, some industrial pipes and scaffolding are going to be mixed in to really breathe some life into the plastic terrain cubes. All I have to do is get it all built, cast, painted, lit, fogged, photographed, edited, collected in a PDF, and published! Nothing to it. Posted in: Uncategorized. Tags: deadzone, mantic, miniature monday.